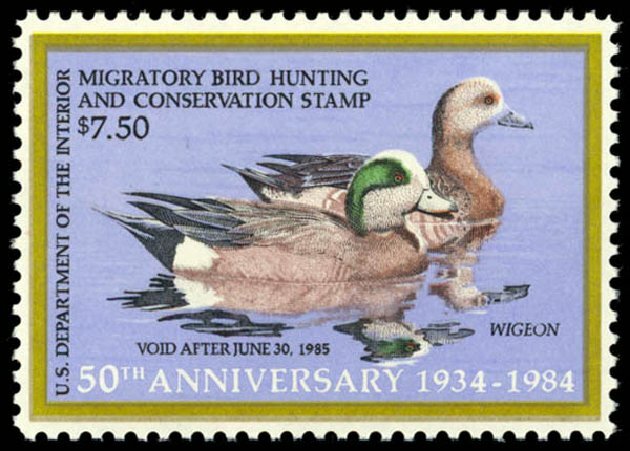 Hunting Permit, 1984, $7.50 Widgeons, Special Printing (Scott RW51x), handstamped on reverse “Special Comm. 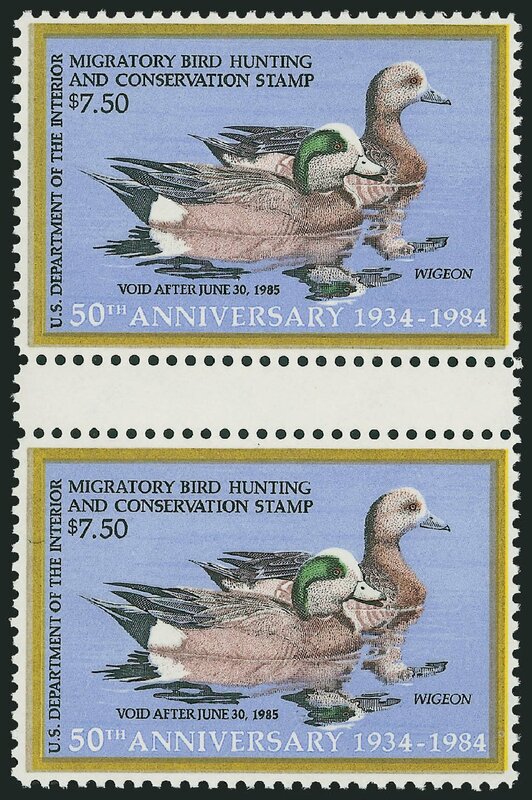 Issue” with penciled position “IX-2-22”, o.g., never hinged, otherwise Extremely Fine, only 1800 issued, 1988 P.F. certificate. Estimate $150 – 200. 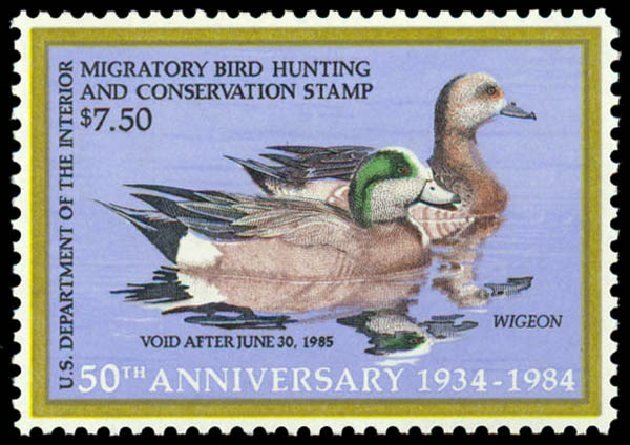 Hunting Permit, 1984, $7.50 Widgeons (Scott RW51), o.g., never hinged, gorgeous example of unparalleled quality in pristine mint condition, quite elusive when found so nice, Superb, 2004 P.S.E. 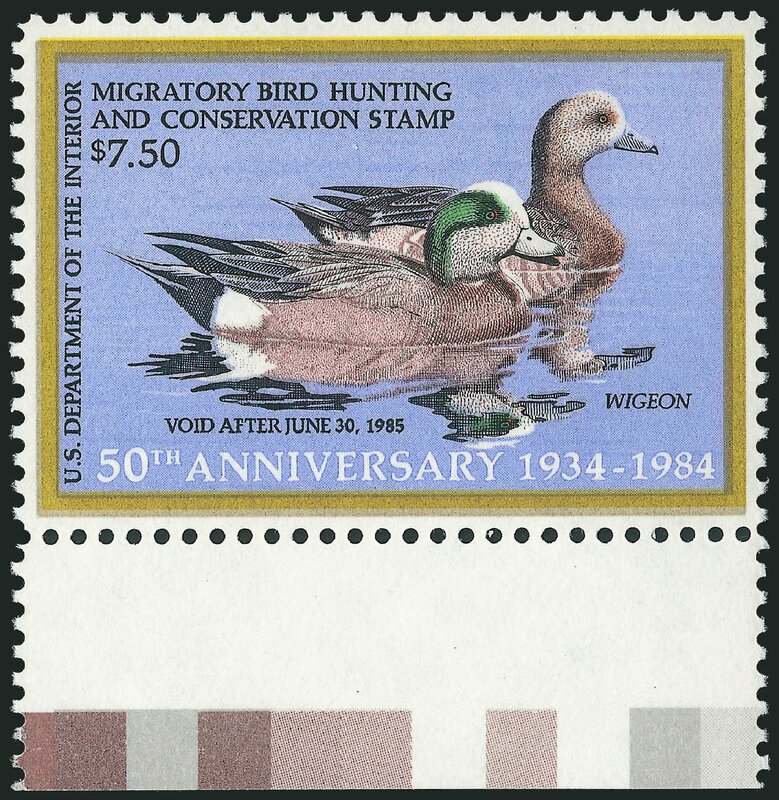 certificate graded SUP-98 (1 of 42 at this grade, with only 11 others grading higher). SMQ $140 in the grade of SUP-98. Scott $18. Estimate value $100 – 150. 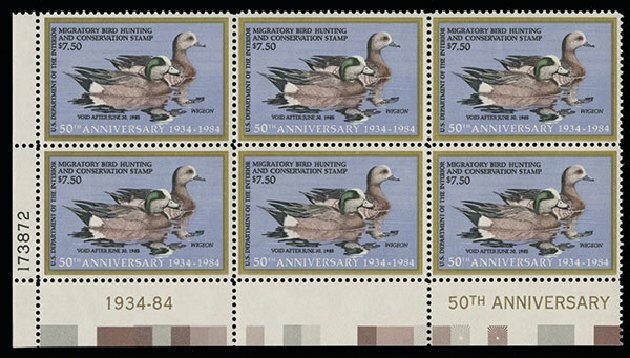 Scott #RW51x, 1984 $7.50 Multicolored, special printing for the 50th anniversary, desirable bottom left corner margin plate no. 173872 block of six, with the special imprints in the bottom margin, pos. XIV-21-23/26-28 and penciled on reverse as such as with all the special printings, well centered, o.g., n.h., very fine and quite scarce.